*11 Bridges Campground, RV and Cabin Park is family owned and operated. We are located in the centre of the breath-taking Drumheller Valley, nestled under giant Cottonwood trees on the west side of the Rosebud River in Rosedale, just 5 minutes east of the Drumheller town centre. Nothing beats marveling at the wonders of nature at a safe, well-maintained campground. 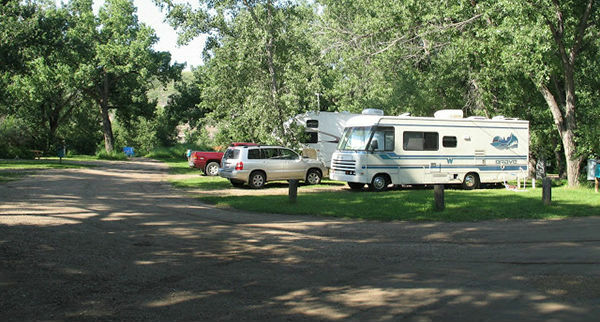 Look no further than 11 Bridges Campground, RV and Cozy Cabin Park in Rosedale, AB. Having been in the industry for over a decade and a half, we guarantee to provide everything you require for an amazing camping experience. *Our clean, modern bathroom facilities feature hot showers and flush toilets, and also a small laundromat. 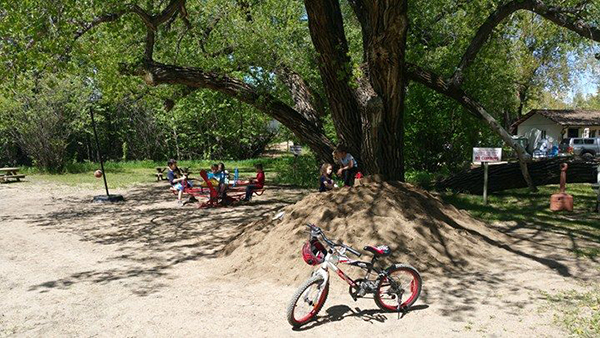 We offer a firepit and picnic table at every site. 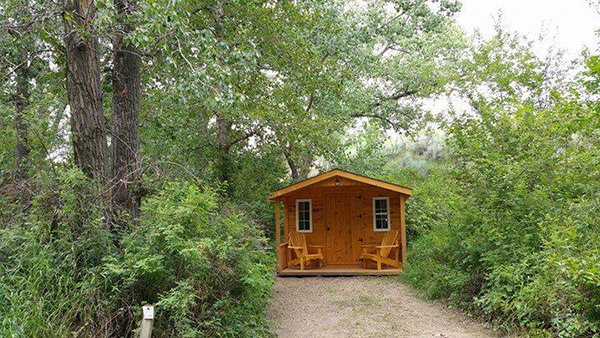 Our cabins cost $80.00 per night (GST will be added). No pets allowed. No power or water. Fold-away cots can be added to select rooms. Sightseeing opportunities abound in the Drumheller area, and a stay of several days is not unusual. Popular activities in the area include golfing, hiking, mountain biking, horseback riding, fishing and tubing. A trip to the Royal Tyrell Museum , Canada’s Dinosaur Museum is a must see!! We offer full-service, partial-service, and no-service tenting sites. Only one tent is allowed per site. Pets are extra. When you want to experience the great outdoors, turn to 11 Bridges Campground, RV and Cozy Cabin Park. If you have questions or comments about our campground, don’t hesitate to get in touch. You may reach our office by phone or email every day. We serve customers across the Drumheller, AB area.